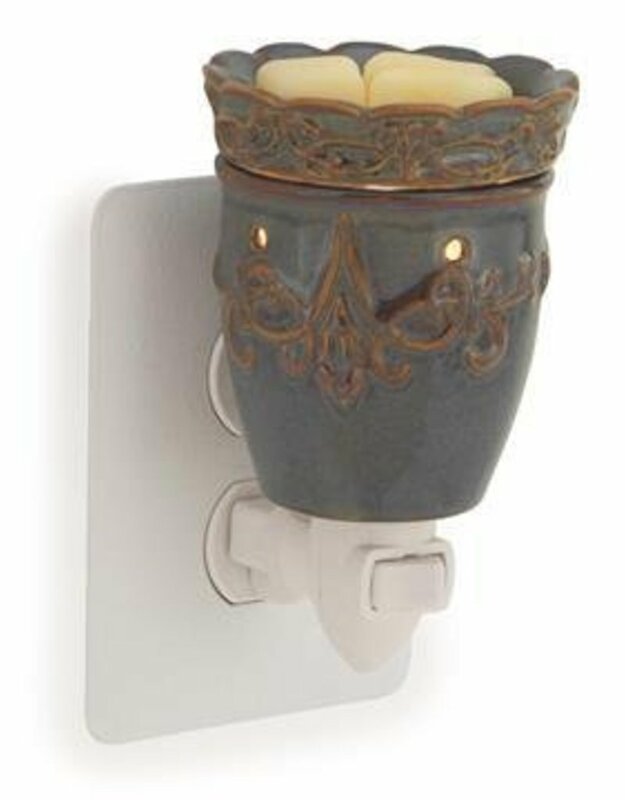 This gray blue reactive glazed pluggable warmer with an embossed organic pattern is ideal for small rooms and small spaces. 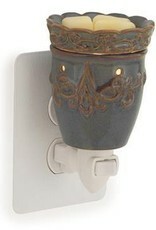 A rotating base allows it to fit a vertical or horizontal outlet. Has a removable dish and includes a warming bulb.